Michael Somoroff’s compelling new work Two Crowns of the Egg is a surprising series of images that investigates the elusive nature of love. The majority of the images were made on the tropical island of Barbados in the span of several days. 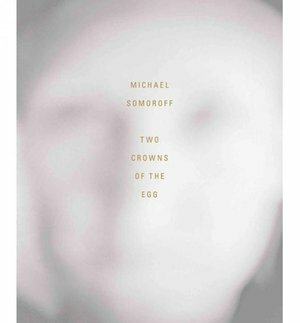 This body of work is a sonnet to Michael Somoroff’s wife, Irina. It was actually begun seventeen years ago when they first married and then set aside and forgotten. Like Alfred Stieglitz’s portrait of Georgia O’Keeffe it is not just one picture, but a series of pictures that portrays the multiple aspects of Somoroff’s gaze upon his wife Irina. Two Crowns of the Egg contains portraits and nudes that were made right after their marriage and finished in the Spring of 2013 after a tumultuous period for each – still in love and allowing one to expose the fragile vulnerability of that kind of love. The variety of films used captures the elusive nature of what is being photographed perfectly and allows the work to transcend and float into a magical space. The subtle change of colors in the various passages create a musical pace as though one is listening to Debussy’s evocative Estampes. One feels Irina’s intensity and sensuality spring off the page. The book includes a poetry of Giannina Braschi and an introduction by Donald Kuspit’.